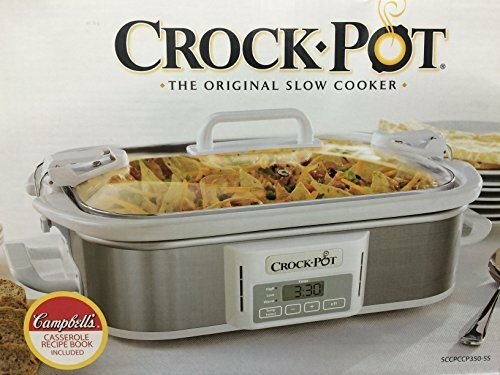 The Crock-Pot Programmable Casserole Crock Slow Cooker makes family dinners, potlucks and parties easier than ever! Its rectangular design is the perfect size and shape to prepare everyone's favorite casseroles, lasagna, desserts and more. It's ideal for make-ahead meals that you and your family can come home to, simplifying mealtime. The fully programmable control panel sets cook time on low or high temperature, anywhere from 30 minutes up to 20 hours, providing convenience for various recipe cook times. You will know the exact time that your food will be ready as the digital timer counts down the remaining cook time. The unique stoneware is oven-safe for use in both the slow cooker base or in a conventional oven. This makes it easy to cook, warm and serve with the flexibility to slow cook and then brown or melt toppings in the oven, or bake first and keep warm in the Casserole Crock. 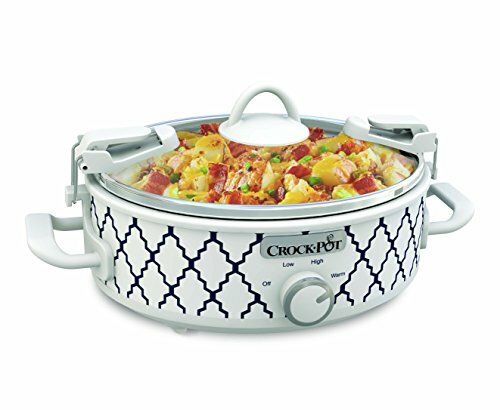 During the holidays when you're juggling multiple dishes, the Crock-Pot Programmable Casserole Crock is a lifesaver, freeing up space in your oven. 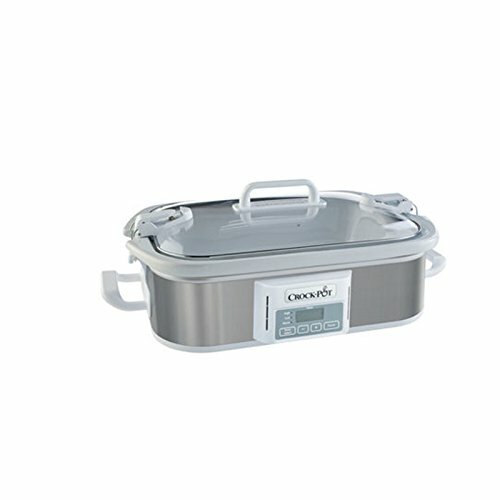 With portability in mind, the Casserole Crock uses our Cook & Carry locking lid system for easy transport without spills. 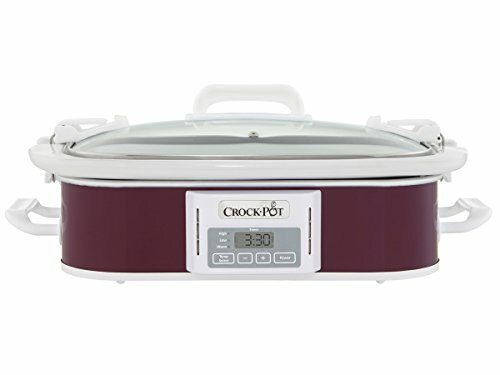 At 2.5 quarts, the Mini Casserole Crock Slow Cooker makes meals for smaller dinners, potlucks, and parties easier than ever. 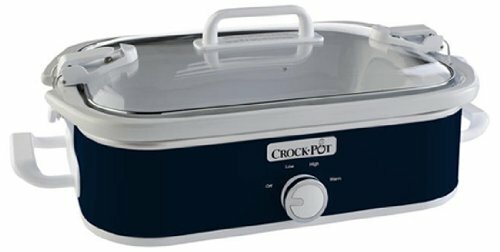 With portability in mind, the Mini Casserole Crock uses our Cook & Carry locking lid system, so you can conveniently take your dish on the go without spills or mess. The removable stoneware allows you to easily go from countertop to tabletop. It's ideal for entertaining when oven space is limited or when you just don't want to turn on your conventional oven; and, of course, for delicious, make-ahead meals you and your family can come home to. 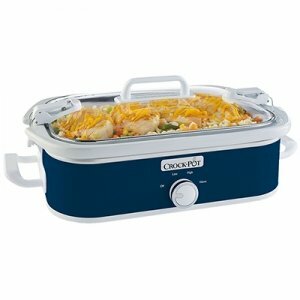 The Crock-Pot Casserole Crock Mini 2.5-Quart Oval Slow Cooker is convenient for every occasion. It makes family dinners, potlucks and parties easier than ever. 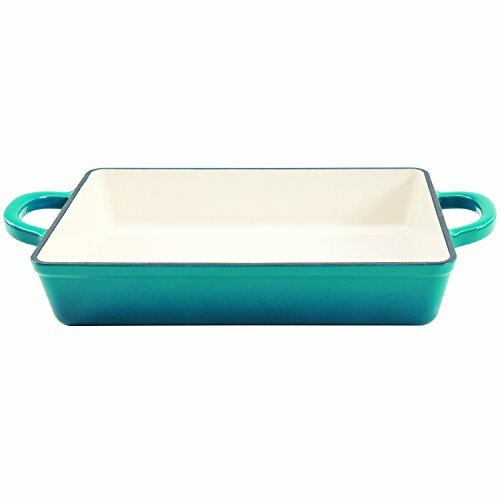 Its oval design is the perfect size and shape to prepare everyone's favorite casserole dishes, dips, desserts and more. This Crock-Pot is ideal for make-ahead meals you and your family can come home to - simplifying mealtime. The unique stoneware is also oven-safe for use in conventional ovens to cook and warm. 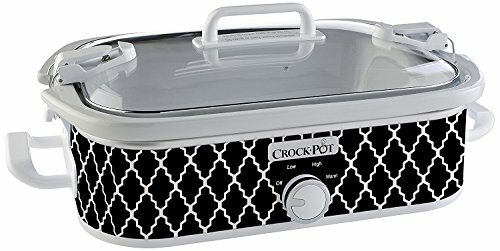 When your kitchen oven is working on overload, the Crock-Pot Casserole Crock Mini 2.5-Quart Oval Slow Cooker can be your lifesaver by freeing up space in the oven. 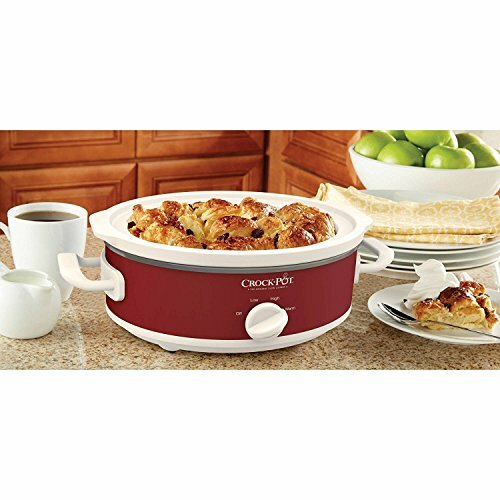 Make delicious family dinners and potlucks with the Crock-Pot Programmable Casserole Slow Cooker. Combine your favorite ingredients in the morning to create a delicious dinner that is ready when you and your family come home. Cook your favorite lasagna or casserole recipe and even brownies or cake or cornbread with the Crock Pot Artisan enameled cast iron lasagna pan. Made of quality cast iron with a beautiful and durable enameled finish, this beautiful pan distributes and retains heat evenly. It looks great in the kitchen or on the table. There are various sizes and colors available in the Artisan collection. Oven and stove top safe. Order yours today! NOTICE TO CORRECTION IN VIDEO: SAFE 'minimal' THERMOMETER SHOULD READ 165*F to 175*F for chicken temps: This is so easy, and tastes really great. It's a belly warming dish for those busy days when you just don't know what else to fix and you are in a morning hurry. Enjoy! 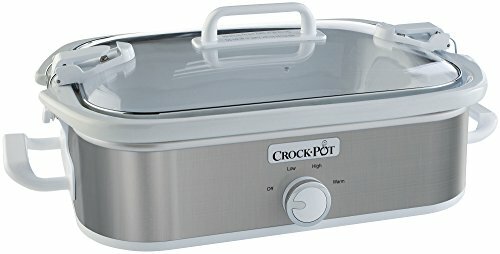 Compare prices on Crock Pots Casserole at ShoppinGent.com – use promo codes and coupons for best offers and deals. Start smart buying with ShoppinGent.com right now and choose your golden price on every purchase.